On July 4, 11776, our founders declared in the Declaration of Independence: “we hold theses Truths to be self-evident, that all Men are created equal and that they are endowed by their Creator with certain unalienable Rights, that among them are Life, Liberty,pursuits Pursuit of Happiness.” With these words, they began the process of shaping a government that obtains its powers from “the Consent of the Governed.” The Constitution continues in a similar fashion, professing the desire of the people of the United States to “establish Justice”, and to “secure the Blessings of Liberty” to ourselves and our posterity.” These are powerful words, and the goals expressed in them have shaped this nation. What kinds of men authored these documents? When I read Madeleine Albright’s book, The Mighty and the Almighty, her brief description of the philosophical and religious perspectives of our first Presidents intrigued me. Albright’s own belief in religious tolerance may certainly impact her vision of our founding fathers. Particularly pertinent is her belief that religion should not be a source of conflict and hate. It is reasonable that she focuses on similar attributes in our founding fathers. What were the beliefs of the men who shaped these documents? 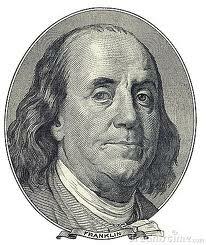 What is it that inspired George Washington and others to create our Constitutional form of government? How is that these men created a government based on concepts of liberty, freedom and democracy? What caused them to enact a Constitution that gave so much power and dignity to the common man? Albright believes they considered themselves to be like the Israelites, guided by God through the wilderness, presumably to the promised land, the a United States. Consistent with their own political and philosophical beliefs, these men were highly respectful of the wide scope of religious and philosophical beliefs found among the citizenry. What do we know about their beliefs? Their religious beliefs appear not to have been stagnant. They grew and changed as they faced the challenges of building a nation. Historians describe them as very religious, not very religious, atheists or Deists, depending at least in part on the perspective of the various historians who write about the, while relying on whatever quotes fits. Without question, they seem to have believed that this new nation should welcome people of different beliefs. Our first President, George Washington, often acknowledged the importance of a supreme being, while advocating “scrupulous support for religious tolerance” including “Mohametans, Jews or Christians of any sect, or Atheists”. In Washington’s 1790 letter to the Hebrew congregation of Newport, R.I., he wrote: “The government of the United States gives to bigotry no sanction, to persecution no assistance.” He made frequent references to a deity, nonetheless, ministers of his time, including the Rev. Bird Wilson, Episcopalian, and Rev. 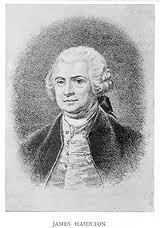 James Abercrombie, Rector of Washington’s church, described him as a “Deist”. Certainly as Secretary Albright indicates, he was committed to the right of every citizen to worship “according to the dictates of his own conscience”, as he did himself. 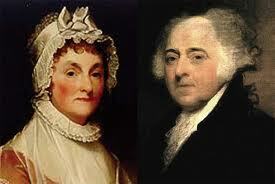 Our second President, John Adams, is described by Secretary Albright as a Unitarian who considered liberty “a gift from God” and democracy “a creation of man”. She describes him as having had little use for the concept of the Trinity. A prolific writer in the area of philosophical and religious issues, his various writings provide little clarity as to his personal beliefs. Like Jefferson, his religious and philosophical views were intertwined. His primary concerns appear to have been civil rather than religious. As a statesman he was dedicated to religious tolerance. Treatises about him quote him as inconsistently stating both that “Our Constitution was made only for a moral and religious people” and in contrast that “This would be the best of all possible worlds, if there were no religion in it.” I wonder whether this statement was in response to world events of his time. He expressed concern that people “are often for injustice and inhumanity against the minority”, as demonstrated by “every page of the history of the whole world.” Almost certainly a reference to the French Revolution which occurred almost simultaneously with our own, but with a level of brutality we never experienced. Albright describes Thomas Jefferson, our third President, as a student of science and ethics. The controversial nature of his beliefs is evidenced by his opponents’ attacks against him, labeling him an atheist. His own words make this suggestion highly suspect. In his letter to Benjamin Rush, in 1800, he acknowledges God, stating: “I have sworn upon the altar of God, eternal hostility against every form of tyranny over the mind of man.” But he certainly ascribes to a very personal system of beliefs: “I never submitted the whole system of my opinions to the creed of any part of men whatever in religion, in philosophy, in politics, or in anything else where I was capable of thinking for myself. Such an addiction is the last degradation of a free and moral agent.” He had little good to say about Christian clergy, describing them as the “greatest obstacles to the advancement of the real doctrines of Jesus”. Ouch, my dad would loudly protest against any suggestion that his life’s work is an obstacle to the teachings of Jesus!! Jefferson is the primary author of the Declaration of Independence. He and George Mason, authored the Virginia Declaration of Rights, adopted by the Virginia Constitutional Convention on June 12, 1776. In addition to codifying rights including freedom from excessive bond, separation of the powers of the three branches of government, the right to freedom of the press, and the right to jury trial, the document states that: all men are equally entitled to the free exercise of religion according to the dictates of conscience”; and that it is the mutual duty of all to practice Christian forbearance, love, and charity toward each other. 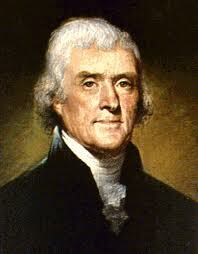 Jefferson wrote respectfully of atheists in a letter to Thomas Law in June 1814: “If we did a good act merely from love of God and a belief that it is pleasing to Him whence arises the morality of the Atheist? … Their virtue, then, must have had some other foundation than the love of God.” In a speech to the Virginia Convention in June 1778, he proclaimed: “Freedom arises from the multiplicity of sects…For where there is such a variety of sects, there cannot be a majority of any one sect to oppress and persecute the rest.” Finally he states: “Say nothing of my religion. 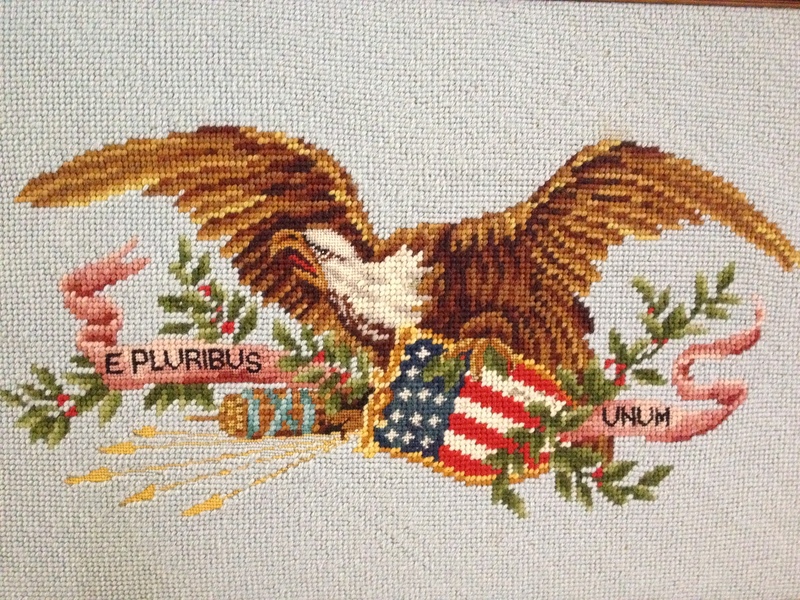 It is known to my God and myself alone.” Letter to John Adams, January 1817. What does it matter? It is apparent that they were respected by their peers, that they were able to define themselves as men of integrity who embraced people of good will where ever they found them. Certainly, in forging a government of people from such varied backgrounds they were able to shape the original “big tent” of which President Ronald Reagan spoke. But further, they constructed a government in which people were able to come together as equals, with the interests of the majority and the interests of the various minorities all considered and given worth. They gave respect to the individual, created a government based democratic values and expectations of liberty. Most important, they gave our citizens a Constitution and Bill of Rights that became the basis for a government that has thrived for over 200 years. Sadly, they did not protect us from the inhumanity of slavery or insure the equal treatment of women and minorities. But over the course of U.S. History. the concepts of liberty, equality and justice have prevailed and these fundamental rights were extended to all citizens. This entry was posted in History, Legal and Government Buzz, Reviews, Tips and Words of Wisdom and tagged Benjamin Franklin, George Washington, James Madison, John Adams, Madeleine Albright, Religious diversity, religious tolerance, Revolution, Thomas Jefferson, U.S. Constitution. Bookmark the permalink.